New York Area Business Woman Selected for Leadership, Business Contributions, Commitment to Community by Regional Panel; Has Recovered Nearly $1 Million in Medical Expenses for Clients. 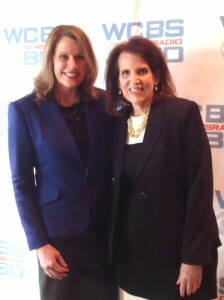 MONROE, N.Y., December 20, 2013 – Adria Gross, founder and president of MedWise Insurance Advocacy and MedWise Billing, Inc. of Monroe, N.Y., has been named a “Woman of Achievement” by New York’s WCBS Newsradio 880. The award was given to Gross at the station’s annual awards banquet, held on December 11, 2013 in New York City. She was among five honorees recognized for their leadership, influence, and their dedication to tri-state businesses, the cultural landscape, and their community. 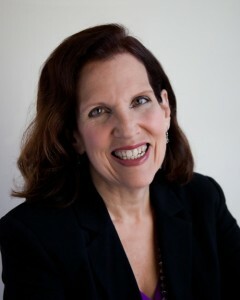 Gross was nominated by the Orange County Chamber of Commerce of Orange County, N.Y. Through her company, MedWise Insurance Advocacy which she founded in 2012, Gross has recovered almost $1 million in medical expenses that insurers have tried to block or that healthcare providers erroneously charged her clients. She said her early experiences have spurred her to help others as a medical bill advocate. At age 11, she contracted encephalitis which led to epilepsy; she suffered an average of 18 seizures a month through her mid-30s, when she underwent brain surgery to overcome the epilepsy. Despite these challenges she pursued a normal life, including a college education, marriage, and raising a family. Business reporter Joe Connolly of the Wall Street Journal Small Business Report, carried on WCBS Newsradio, announced the winners on the air during his show the next day. Of Gross, he said, “Here’s a great example of someone who starts a business when they see a need that’s not being met.” In advance of the WCBS Newsradio awards event, Gross was interviewed by morning-drive news anchor Pat Carroll on December 6; she has also been featured on CBS News and in multiple publications, in stories about the health insurance industry and specializing as a medical bill advocate. Gross was instrumental in establishing a YMCA in her hometown of Monroe. The need for this type of facility was obvious for years; she convinced all relevant parties to work together to make the YMCA a reality in February 2011 so that children in the community would have some place safe to go in town. The effort was a direct outgrowth of her participation in Leadership Orange, a ten-month program sponsored by the Orange County, New York, Chamber of Commerce; the program helps county residents become leaders and advocates for businesses and residents in their communities. Gross has also offered services to the organizations as a medical bill advocate to their members and employees. “After I completed the Leadership Orange program I was inspired to get even more involved in the community,” said Gross. “When I noticed that the children in our community had no place to go, I was determined to get a YMCA opened in Monroe.” She was recognized for her efforts by winning the 2013 YMCA Special Award in Appreciation for Spirit, Drive and Dedication. Gross has also been recognized as the 2011 Volunteer of the Year by the Mental Health Association of Orange County for her work on the Autism Move-a-thon of Orange County; the 2009 Pinnacle Leadership Orange Award; and the 2008 Insurance Professional of the Year from the Insurance Professionals of Orange County, N.Y.
She is an active member of many professional organizations including the American Medical Billing Association, American Academy of Professional Coders, and Alliance of Claims Assistance Professionals. She is a licensed insurance broker, consultant, medical bill advocate, and serves on the board of Insurance Professionals of Orange County (New York). For more information about how a medical bill advocate benefits patients, visit www.medicalinsuranceadvocacy.com; to arrange a consultation with Adria Gross, contact her at (845) 238-2532 or Adria@medwisebilling.com.